If you’ve heard the buzz about Google+, and you’re wondering what the Google version of social networking is all about, you’ve come to the right place (UPDATE: when this article was first published, the doors to Google+ were closed to new invitees. Google+ is now open to the public, albeit in a “Limited Field Trial”). Here’s a breakdown on what Google+ is and what the advantages and disadvantages of Google+ are. 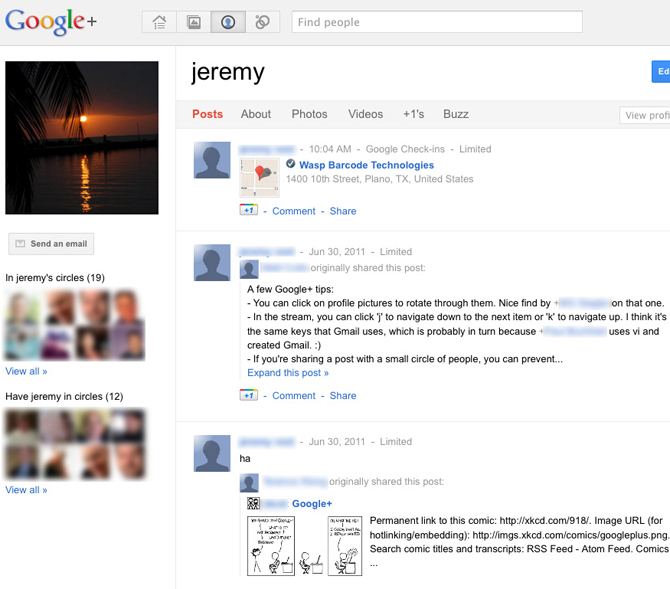 It’s hard to avoid comparing Google+ to Facebook, given the remarkably similar interface and functionality. After finding contacts to connect with, you can assign these contacts to particular groups that you create, like Friends, Family, or Coworkers. In Google+ speak, those groups are your circles (in the screen shot below, our tester’s circles are listed under the Stream header). So when you share updates on Google+, you can share them with selected circles. You can also use your circles to determine whose updates you see in your stream, or newsfeed. In the screen shots below, we’ve blurred out names and pictures to protect the identities of the socially savvy. Your user profile includes photos and videos you’ve uploaded, plus all of your posts and even a section that lists the URLs you’ve marked as +1 (check out our Google+ 1 article for more information on how that works). Circles are a key feature in Google+. If you’d rather not share the details of your Saturday night with coworkers or grandparents, circles make it easy to avoid oversharing with the wrong crowd. Facebook has a similar feature that allows you to create groups, like Coworkers, and then assign friends to it, and post updates to that group only. But when it comes to simplicity of determining who you want to share an individual update or post with, Google+ is the clear winner. Google+ also has an advantage when it comes to uploading photos and videos. Instead of having to manually upload media to your computer, Google+ has an instant upload feature that lets you upload photos and videos automatically from your phone, saving you a little bit of time and hassle. Other cool features on Google+ include online hangouts that let you meet up with your contacts to create a spontaneous chat room, which could be useful for business meetings with remote employees or customers. You can choose from audio only, or video, if you’ve got a webcam handy. Sparks recommends content, like blogs, videos, and articles, based on what you enter as your interests. Huddle, a part of the Google+ mobile app, lets you send group text messages, which could help you save some serious time when you’re trying to coordinate a group outing by text. Other than the obvious fact that Google+ isn’t open to everyone yet (or even to those who have scored in invite recently), we found some other drawbacks in our first experiences with Google+. When one of our graphic designers tested out the nearby feature on the Google+ mobile app this morning, he was alarmed by the results, which included street names and some full addresses for people he didn’t even know – that just happened to be located within 10 miles of him. Plus, while the idea of sparks is great in theory, it’s not clear how content is selected. In our test run, we saw legitimate content from news sources populate the sparks stream. The question is – will sparks remain devoted to quality content, or is it just destined to become another venue for paid advertising? And, to address the question on every small business owner’s mind, business profiles don’t exist on Google+ – yet. The folks over at Google have announced that business profiles are coming, so stay tuned. 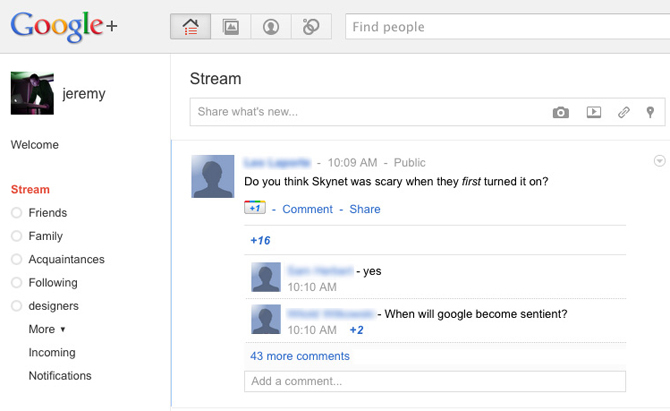 Is Google+ too late to the party, or will its innovative features be enough to make users jump ship from Facebook? Let us know what you think in the comments. 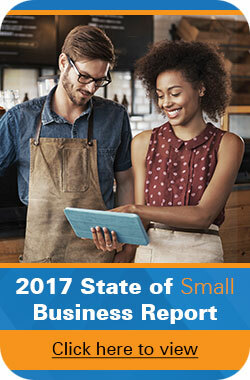 Why do SMBs continue to ignore Social Media? Wasp Barcode Technologies is a barcode manufacturer that provides data capture and tracking solutions designed specifically for small business. While designed for small businesses, the same attributes appeal to departments and local offices of larger organizations. Wasp solutions are ready-to-use, right out-of-the-box and aren’t simply scaled down versions of complicated enterprise products. With Wasp Barcode, owners and managers will spend less time learning new products and more time running their companies. This was a great article! I’m on Google +1, but so far I haven’t had a chance to learn more about it – yet. I think that eventually time will tell, if Google was late to the game. On the other hand, it’s great the the big G entered the social media market by providing an alternative to Facebook. 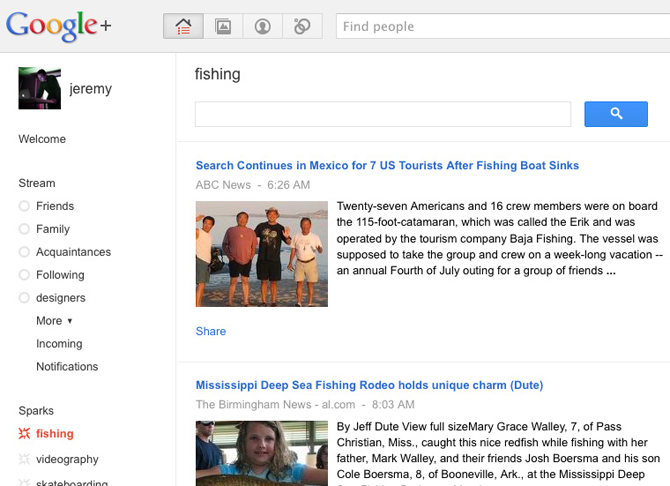 I think Google+ has a chance of competing against Facebook given the interface and functions. As of this time though, people are in the wait-and-see mode as developments unfold. Google+ should also speed up its business profile to make it a part of any small business’ strategy. Facebook sort of leveled up social networking to SMEs’ boon, Google+ should be able to do the same. Thanks for the great article. I will definitely be sharing it with our clients. Ghost Assets: Why Should You Care?